Hemp has finally been removed from the list of U.S. Controlled Substances. Hemp has been prohibited in the United States for many decades with very limited exceptions. This, despite the numerous benefits of allowing hemp cultivation. That all changed this week when the most recent version of the federal Farm Bill was signed by President Trump. The legalization of hemp has been a long road, with countless activists and advocates working to make it happen. There's still a lot of work to do, especially in states that do not currently have hemp programs. However, the benefits of hemp legalization are on the way. Below is a handful of them. Since 2014 U.S. farmers have been allowed to cultivate hemp only if it was part of a state-approved pilot or research program. That exception to federal hemp prohibition was part of a provision in the 2014 version of the Farm Bill. Some states took advantage while others didn't. Thanks to the newly-approved 2018 Farm Bill, farmers across the country will now be able to cultivate hemp and it will now re-take its rightful place as a top cash crop for U.S. agriculture. This is outstanding news for U.S. farmers that have been struggling for years, and legal hemp will no doubt give them a much-needed boost. The status of cannabidiol (CBD) has been complicated from a public policy standpoint since 2014. In some ways, things will clear up while in other ways some confusion will likely remain. CBD will still remain a controlled substance, while at the same time CBD products derived from hemp will be legal. It is safe to say that CBD's availability is going to explode across the country. Because of that, prices for CBD products should dramatically decrease as legal supply surges. 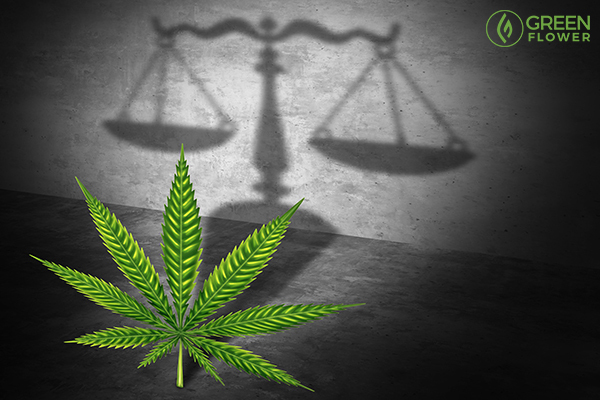 Legal hemp will be heavily regulated, however, it may also clear the way for a lift on federal cannabis prohibition. ﻿The legalization of hemp does not automatically translate to a guaranteed legalization of all forms of cannabis, but it does boost chances for an end to cannabis prohibition at the federal level. Hemp was prohibited along with all forms of the cannabis plant, and the Green Flower team is hopeful that a successful end to hemp prohibition will help further reduce fears of cannabis. When federal politicians see that the sky did not fall after hemp legalization, it should increase momentum for support in Congress to end cannabis prohibition too. Importing hemp products was already legal in the United States as long as certain criteria were met, the most noteworthy criteria being that the products contained zero THC. Now rather than relying on hemp imports from countries like Canada and China, U.S. consumers can buy domestic hemp products. Because domestic hemp products can contain a little amount of THC, they will be superior compared to imported hemp products. And hopefully, you will be able to find products that are sourced from clean, safe hemp grows. In addition to U.S. farmers being able to cultivate hemp and profit from it, a number of other ancillary opportunities come into play. One big opportunity will revolve around hemp processing facilities. Some hemp will be turned into textile products but far more of this crop is likely to be turned into oil. It is hard to anticipate exactly what opportunities we’ll see from a robust legal hemp industry in the U.S., but it's guaranteed there will be lucrative opportunities all over the nation. Hemp research and development gets a green light in the U.S.
One of the biggest benefits to the passage of hemp legalization is the increase in research opportunities due to the removal of barriers that have been in place for way too long. Section 7501 of the Farm Bill extends hemp research by including hemp under the Critical Agricultural Materials Act. That is a really big deal. Rather than researchers having to jump through countless hoops, hemp research will now be embraced. That is good news for all members of society! Farmers in states that have implemented a hemp pilot program or research program have been able to cultivate hemp since 2014. But for farmers in states that have not implemented such programs, they were left on the outside looking in. Hemp legalization at the federal level will now create a federal program that farmers can apply to if they live in a state that doesn't have a program, in addition to letting current states continue as they have been. A booming hemp industry is going to create jobs across the country, from farmhands to harvest crews to delivery drivers and beyond. That is especially fantastic for rural areas where jobs are hard to come by. In addition to new jobs being created, rural areas will also get a boost to their local economies. A butterfly effect will spread throughout areas where hemp is grown, with workers spending their hard-earned dollars in the area on everything from food to lodging. What are your thoughts on hemp legalization? Join the dialogue in the comment section below and let us know what you think.